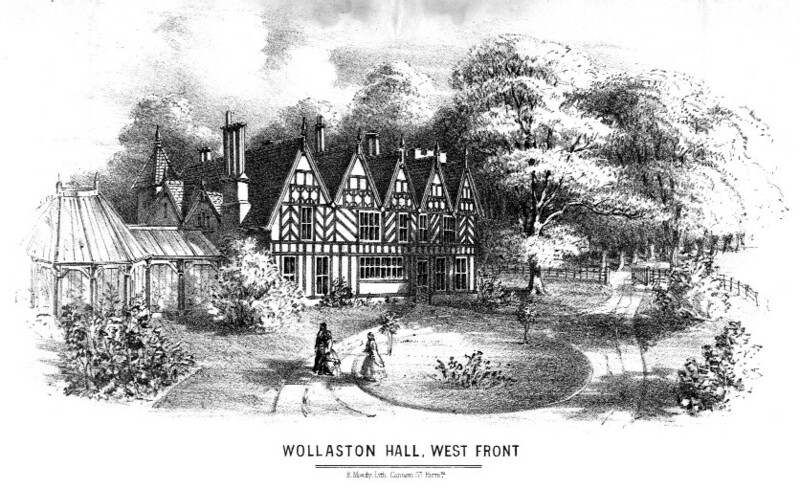 Wollaston Hall was rebuilt in 1617 into the form in which it would remain in the village until 1926. 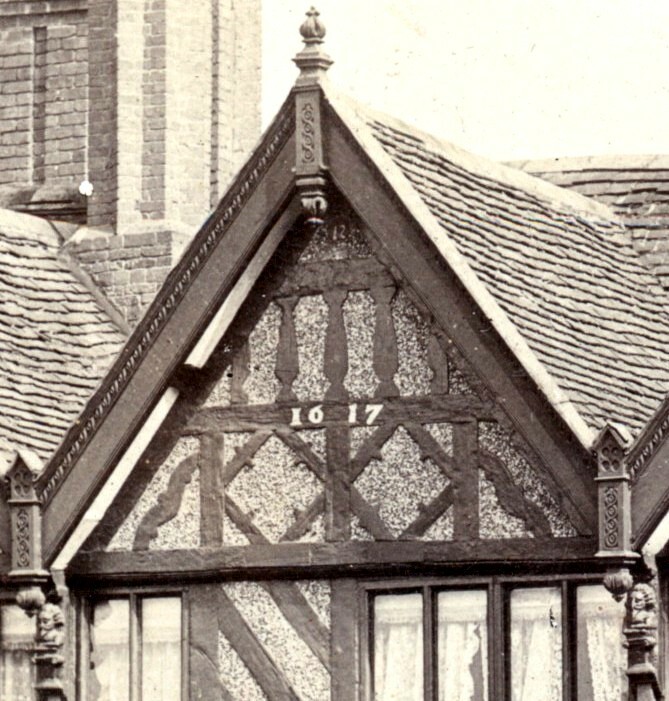 This event was recorded in a date painted onto one of the gables, seen here in an enlargement from a postcard view. Allegedly, above the window over the front door, the Hall also bore the legend: ‘Restored 1643’, but this does not show up in photographs.